7 Does Your Love Lie Open? The Stabilizers were an American pop/rock duo founded in the early 1980s by musicians Dave Christenson and Rich Nevens. With Christenson on lead vocals and Nevens on guitars and occasional keyboards, they spent the first few years touring the Pennsylvania area and recording original compositions on a 4-track recorder. Then, in 1985, they were signed to Columbia Records and in 1986, released Tyranny, their first and only album. The guitar and synth-laced album followed in the style of other 1980s bands such as a-ha, Duran Duran, Tears for Fears and Mr. Mister. The first single from Tyranny was "One Simple Thing," which peaked at number 21 on the Billboard Mainstream Rock Tracks chart in 1986 and number 93 on the Billboard Hot 100 in 1987, helped by the band's performance of the song on American Bandstand. Two music videos were released to promote the album: "One Simple Thing", which was directed by David Fincher - who would go onto greater success directing the feature films Alien 3, Se7en and Fight Club - and "Tyranny", directed by David Hogan. 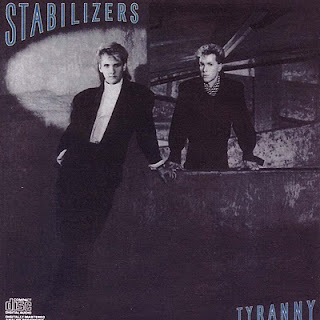 The "Tyranny" single failed to chart, and for the next five years, The Stabilizers disappeared from view. However, in 1991, an unreleased track from the Tyranny sessions, "Maybe This Time," surfaced on the soundtrack to the film If Looks Could Kill. Although no additional music has been released from the band since then, Tyranny has been re-released digitally via the iTunes Store.